Spiritual India...The Endless Journey of the Self ! Spiritual India..Timeless Moments of Divinity ! Yes, within Yourself and you can discover it Here !" 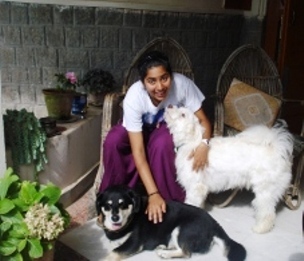 **For a Spiritually Energizing India Holiday, 2010-11..View the Video..TATVA below..! (Music Credit : Prem Joshua. Spiritual India , " Cut not the Wings of your Dreams, they are the Heartbeat and Music of your Soul ! " India Travel..Spiritually Energizing Holidays...In India, be it the Eternal Love at the Taj Mahal or Yoga & Meditation, the Health and Healing traditions of the Himalayas, an India Spiritual Tour will bring with it spirituality and growth for you in your travel. Our 'Spiritually Energizing Holidays' mirror lifestyle experiences to carry home..a treasure trove from your vacation in India. A healing balm for the Soul, the holidays are designed as a special Travel Bonanza for your personal growth, with traditional Energizing activities and Sight Seeing. Spiritual India , " TATVA..Fusion Tour of the Four Elements..Air, Fire, Earth & Water ! " Spiritual India..India Holidays..'TATVA' Series...This Holiday series explores the spiritual energy of the Sacred Mountains, the Fiery Deserts, the Fertile Plains and the Healing Waters of India. 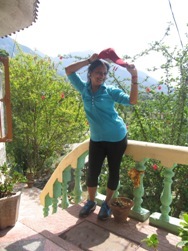 In TATVA-I , nourish your mind in the Himalayan altitude of fresh Air, with de-stressing activities. 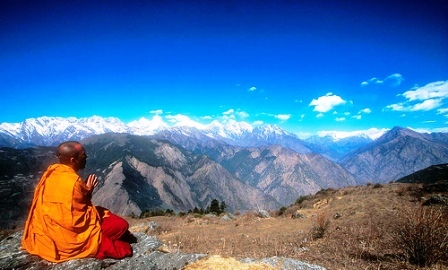 Rejuvenate with Buddhist and Hindu teachings, Yoga, Meditation in Dharamsala, Abode of His Holiness, the Dalai Lama. In Rajasthan and Agra, discover the valour of the Rajput warriors, Forts and Palaces and the Eternal flame of Love at the Taj Mahal. Experience the life cycle of Mother Earth in the divine embrace of Khajuraho and the melody of Radhe-Krishna in the green Forests of Vrindavan, Mathura. Follow the footsteps of Buddha at Sarnath and the Eternal journey of the soul in Holy Ganges of Varanasi. While the energy of Old and New Delhi will awe you, soothe your soul, in the pristine holy waters of Bon Jesus in Goa. 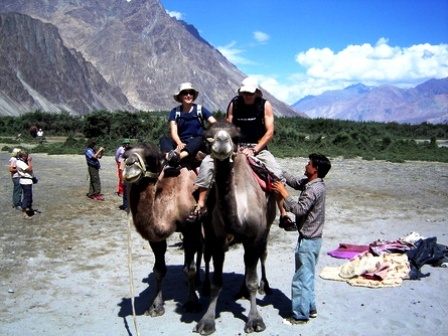 Spiritual India..India Holidays..'TATVA' II...Experience the exuberant energy of a double hump Camel safari, in the cold mountain deserts of Leh/Ladakh ! 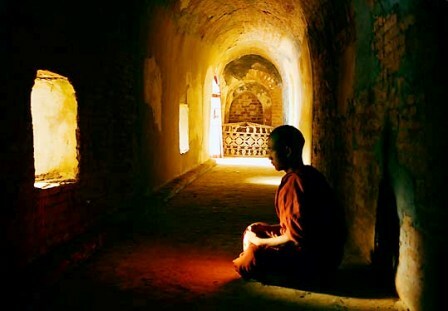 Enlighten yourself with buddhist traditions and monasteries, along the ancient silk route of India. Bless your journey at the doorstep of the famous Lord Ganesha Temple, 'Siddhivinayak'. in Mumbai. Experience the passion and fire of the mythical monkey kingdom of 'Kishkindha' associated with the Hindu epic, the Ramayana. Explore the ruins of 'Hampi' and architectural wonder of South India. Legends speak of the penance of Shiva on the Hemakuta hill and his subsequent marriage with Parvati. Celebrating the divine union of Lord Shiva and Parvati, the Meenakshi Devi Temple of Madurai offers an unique spiritual peak. Complete your India Journey with the Backwaters of Kerala, while the Body rejuvenates with the healing touches of 'Ayurveda' in South India ! Spiritual India , " TATVA..Fire & Passion of North East Himalayan Traditions, India ! " 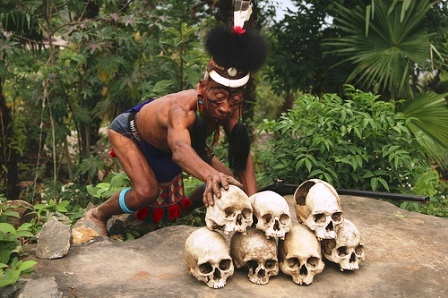 Spiritual India..India Holidays..'TATVA' III...The Fire and Passion of the Naga tribe in Nagaland, has fascinated many a Tourist. In the exciting waters of North Eastern Himalayas..Assam, thrill yourself with the rich aquatic habitat. In "TATVA" III, discover the Energy of all the Four Elements in the North Eastern Himalayas of India ! North India Tour..Discover Assam,Nagaland,Arunachal Pradesh,Sikkim and the North East India..Click Here ! Spiritual India , " Awakening"..A Trip to Paradise (Spiritually Energizing Holidays), India ! " India Spiritual..'Awakening '(Spiritually Energizing Holidays), India...Starting from the ruins of Kalinga (Orissa), walk with the Mahatma in Sabarmati Ashram in Gandhi's Gujarat, to awaken your 'Soul' to the God within you ! At the 'Golden Temple', Amritsar (Punjab), learn the sacred teachings of the Guru and end your 'karmic journey' in Dharamsala, India, the Spiritual Capital of the World! 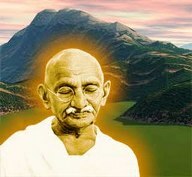 Spiritual India...Walk with the Mahatma for Peace, Know Gandhi...Click Here ! 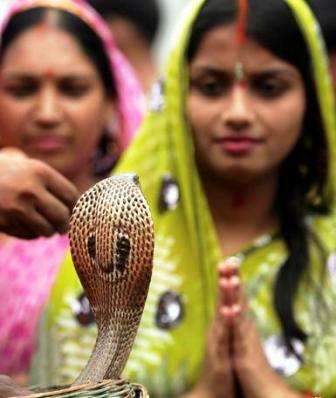 Spiritual India , "Music in the Skies", Health & Healing India ! " 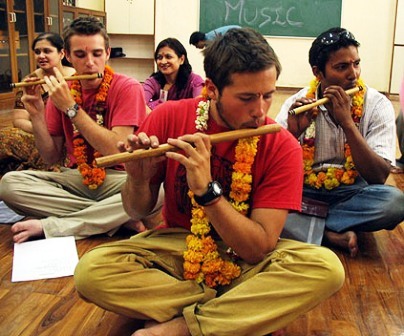 Spiritual India.."Music in the Skies" (Spiritually Energizing Holidays), India...In the Mountain state of Himachal Pradesh and Rishikesh (Uttarakhand), the 'Yoga Capital of the World', experience the Health & Healing traditions of the India Himalayas..A Journey of the Body, Mind & Soul for the discerning Traveller to India ! Yoga India...Ancient Art of the Maha Yogi 'Shiva'..Yoga & Meditation, India..Click Here ! Volunteering India..The Heart knows No Boundaries..Click Here ! 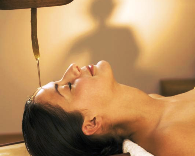 Health & Healing, Holiday Preview..Click Here ! 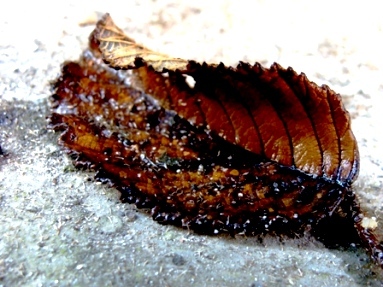 Spiritual India , "Rustle of the Leaves" (Spiritually Energizing Holidays) India ! " Spiritual India.."Rustle of the Leaves" (Spiritually Energizing Holidays), India...A Holiday Tour to India in the Mountains of Himachal Pradesh, the Valley of Gods & Goddesses ! Enjoy all the Himalayan Green Earth traditions of Dharamsala, Kullu/Manali,Shimla,Dalhousie,Chamba and the cold deserts of Kinnaur/Spiti/Lahaul..in all the Seasons ! 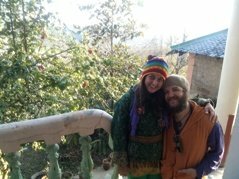 Spiritual India...Himachal Pradesh Tour Program..Click Here ! Spiritual India , "Surya Tatkar"..Dance in the Sunlight (Spiritually Energizing Holidays) India ! " India Culture Travel.."Dance in the Sunlight" (Spiritually Energizing Holidays), India...Explore the The Art & Soul traditions of Divine India where spirituality is at its most aesthetic brush with human beliefs and creativity. In the ancient sacred temples and shrines of North & South India, experience worship on the doorstep of Paradise ! Spiritual India , " Buddha 2000 AD "(Spiritually Energizing Holidays) India ! " India Meditation Tour.."Buddha 2000 AD"" (Spiritually Energizing Holidays), India...Starting from the Birth of Buddha in Lumbini (Nepal), take the Path of Enlightenment in India visiting Bodhgaya, Vaishali,Sarnath,Kushinagar to Neo Buddhism in Dharamsala ! India Tour..India Spiritual..Namaste Buddha..Click Here ! 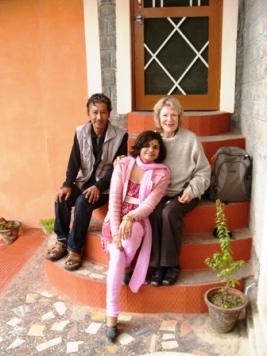 India Tour , Winter 2009.."Catching up on Old Times, Arvind Gurung & Sangeeta Gurung with Home Guest at Vidya Niwas Dharamsala India ! " 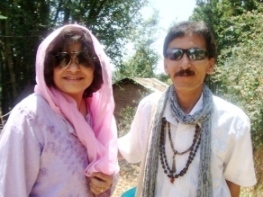 About US..Arvind & Sangeeta Gurung, Dharamsala India ! Both of us came from traditional educational backgrounds, where Tourism was neither a way of life or a trade..perhaps this added all the jest we needed to make our marriage an adventure. Having a family with our two children is a journey in itself! Our ten years in Nepal, having worked for some of the the best in the Travel n Hospitality Industry , were in themselves a chapter on the Travel & Hospitality trade. There was glamour and hard work, fun n challenges all put together. 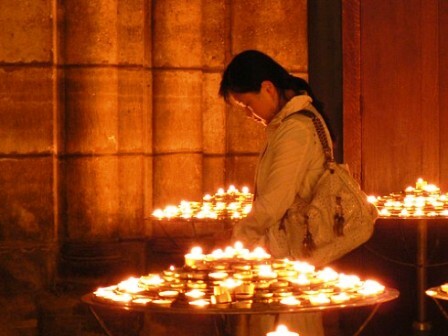 When we first came to Dharamsala in 1993, it was with an awakened sense of Spirituality. The Travel line taught us much with its many moments of humour and learning, the many ironies of life. It will always be great to have the Global world at your doorstep..When we first made our Mountain home, 'Vidya Niwas' we had no idea it would be warmed by the august company of so many Global friends.."Can there be anything more rewarding for the soul than to be able to give a life style for a 'holiday'?!" We hope like the many journeys we have taken this too will never end. * We are not part of any International & National NGO body, Trust, Social Society or Club. We are not members of any religious sect or associated with any particular group of people, as we live in a Global Community today. The content of both our websites, on India and Dharamsala, along with the images in them, do not reflect our association with, any product or corporate enterprise. They are purely Informative & Commercial websites. The images and the content are merely a 'reflection' of our honest endeavor to reach to a bigger, 'Global Community' which, share the same interest ! The 'cause' most dear to us is, 'Building Bridges' for 'Peace n Prosperity', for all sectors of a Global Society by bringing into effect, a 'Rotating Universal Economy', in the 21st century ! ..We welcome anyone to participate in our 'endeavor', by contacting us 'directly' on our websites..!! 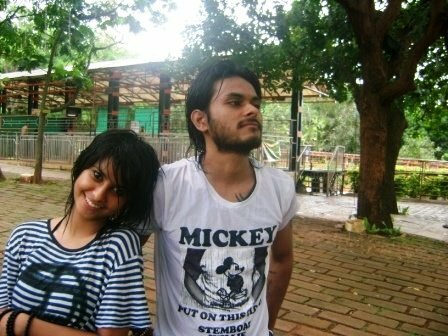 Our Children at Water Park, Mumbai ! Your India Tour..For more on us..Click Here ! Spiritual India , India Miniguide presents "Dharamsala Tours & Travels " ! 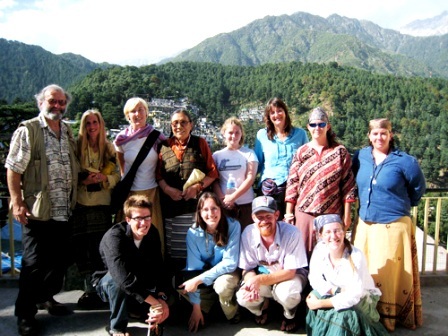 India Spiritual Tour..This Miniguide presents..Dharamsala Tours & Travels, which is a 16 year old Himalayan Tour Company and has given many 'spiritually energizing holiday' experiences to travellers from all over the world. In our quest to provide sustainable vacation with knowledge and personal growth we hope to do better every day." We had a wonderful and happy time. A quiet holiday retreat with my daughter at Vidya Niwas , discovering so many beautiful places in Dharamsala with our young guide. " ..Emilie & Pitpilai Testard, Thailand (07th Feb, 2005). ..It is always a pleasure for us to welcome our International friends to this part of the globe and advise them on how to make their holiday experience a 'memorable' one. ** We can design Individual and Family Vacations as per your tailor-made requirements. ** You can holiday with us in India, Bhutan, Nepal & Tibet. * Hotel Reservations * Airline, Rail & Bus Tickets. * Transportation and Sightseeings with Local Guide & Drivers. * All Adventure Activities in the Himalayas like Trekking, Expeditions, White-Water Rafting, Pony Trails & Nature Walks, Horticulture, Tea Garden & Orchard Excursions, Biking, Para-Gliding, Skiing Sports, Jeep & Camel Safaris in the Mountain Terrains of Dalai Lama home, Dharamsala. * Select Vacation activities like Bird-Watching, Wild-Life Excursions, Angling for Fun, Kite-Flying, Theatre and Art Workshops, Wine-Tasting and Cuisine Tours in Dharamshala. * Water Sports and Cruises. Spiritual India , Dharamsala Miniguide.." Meet Bobo and Tabu at our Himalayan Home , Vidya Niwas, Dharamsala..Click the Graphic Above ! Contact Us for your Holiday in India, Bhutan, Nepal & Tibet ! 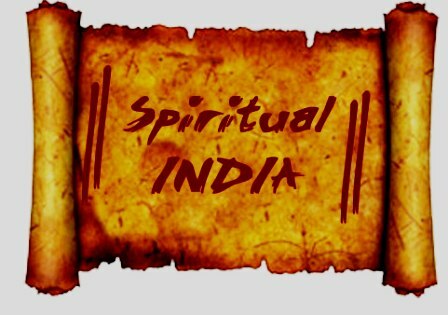 For More on Spirit India...Click Here ! 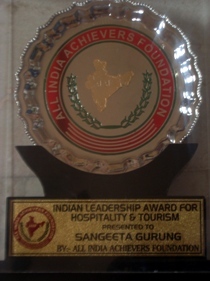 Indian Leadership Award for Tourism & Hospitality, 2011..
*Raising Awareness & Funds for Global and National Social Development Causes and Campaigns. *Design, Writing Articles, Advertising & Marketing Consultancy.